The issuance of Islamic Sukuk Law in Jordan is a step in the right direction for the liberation of the financial system from the predominance of an interest-based financial system than just a creditor to be participants in economic activity also provides opportunities for individuals who are eager to invest in Islamic financial instruments and as an engine of the Jordanian economy. Through the studying some of the economic and financial indicators in Jordan for the period from (1998 - 2012), the study found a positive indicators support the idea of Sukuk Islamic such as the relatively high rates of savings and bank deposits as a percentage of GDP, which means providing the necessary funding for the underwriting of these instruments. But there are other indicators put this idea in a challenge in terms of its acceptance or its continuity by the financial system and investors due to the lack of confidence in the economy and to the high ratio of public debt and public deficit. Moreover, the penetration of interest-based system in the economy and the absence of efforts seriousness in fighting corruption are also another serious challenges. With all this, the activation and issuance of laws governing the reform of the financial system ,anti-corruption and increasing transparency will enhance the confidence of investors in order to accept financing of Islamic derived investments .moreover ,it necessary to be screened the experiences of other Muslim and non-Muslim countries who apply Islamic securitization and introduce them with these products and their characteristics to stimulate the economic sectors to accept this Islamic project. •	Abdullah Abdul-Latif Abdullah, Mohammed Metwally Dkrory Mohammed, "The importance and the role of Sukuk as alternative instruments tool to overcome the state budget deficit. The Public administration and financial research in the Arab Republic of Egypt, 2010. •	Alaevh Abdul Haq, Zahara Bani Amer, "The role of Islamic instruments in the financing of infrastructure projects," the International Conference on products and applications innovation and financial engineering, in May 2014, 5-6. •	Basel Yousef Alshaer, "The legislations governing the Islamic Sukuk in Jordan's Law No. 30," Journal of Banking and Financial Studies, Vol. 21, the first issue, 2013. •	Fatah Abdel-Rahman Ali Mohammed Saleh, "Risk management of Islamic Sukuk in relation to Sudanese situation. Khartoum forum for Islamic financial products," fourth version, 5 to 6 April 2012. •	Fatah al-Rahman Ali Mohammed Saleh, "The role of Islamic Sukuk to fund development projects", the Union of Arab Banks in 2008. •	Hana Mohammed Hilal Hunaiti, "The role of Islamic financing Sukuk in the light of the current economic situation," Journal of Banking and Financial Studies, Vol. 21, the first issue in 2013. •	Hossam Eddin Abdel Wahab Mohammed, "Applications of Islamic Sukuk in Sudanese banks," Journal of Banking and Financial Studies, Vol. 21 First Issue 2013. •	Khawla Freese Nubani, "The mechanisms and requirements of the issuance and trading of Islamic Sukuk in Jordan”. The experts meeting for Sukuk issuance Mechanisms and requirements. Amman 12/31/2013. •	Maatallah Khairuddin, Shryak Rafiq, "The Islamic Sukuk as a tool to finance economic development projects," International Forum on the elements of sustainable development in Islamic economics at the University of Guelma, 3 to 4 December 2012. •	Mohammad Omar Jasser, "Sukuk issuance in the experiences of different countries," Journal of Banking and Financial Studies, Vol. 21, first edition 2013. •	Mohsen Abu Awad, the "Islamic Sukuk and risks", Journal of Banking and Financial Studies, Vol. 21 First Issue 2013. •	Muhammad Taqi Usmani, "Islamic Sukuk and contemporary applications", the twentieth session of the Islamic Fiqh Academy. •	Nawal Ben Amara, "Islamic Sukuk and its role in the development of Islamic financial market the Islamic international market experience - Bahrain. Researcher Journal, Issue 9, 2011. •	Sami Obaid Mohammad, Adnan Hadi Ajaz, "The financing role of Islamic banks (Sukuk financing). 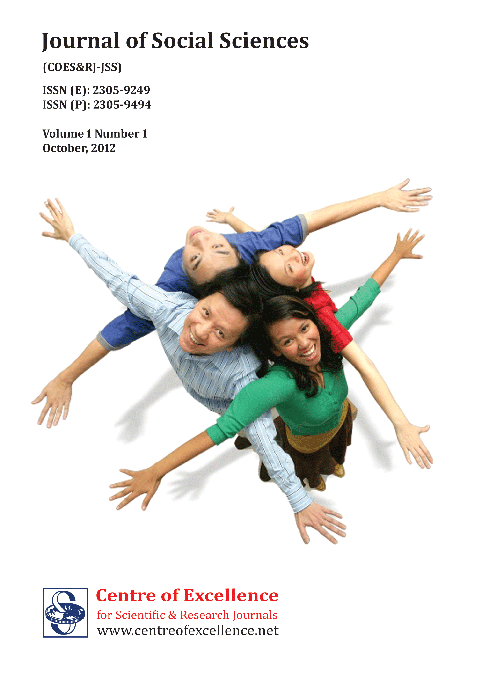 The experience of Malaysia," the Journal of Economic Science Issue 38, Volume 10, 2015. •	Suleiman Nasser, Rabia Ibn Zaid, Islamic Sukuk as a tool for financing economic development and the extent of utilizing in Algeria. International Conference on products and innovation applications and traditional financial engineering and the Islamic Financial Industry. 5-6 May, 2014. •	Suleiman Nasser, Rabia bin Zayed, "The Islamic Sukuk reality and challenges", Journal of Banking and Financial Studies, Vol. 21, the first issue in 2013. •	Walid Mustafa Shawish, "Achieving the role of property Sukuk among the materiality and religious," Journal of Banking and Financial Studies, Vol. 21 First Issue 2013. •	Ziad Fariz, "The mechanisms and requirements the issuance of Islamic Sukuk," Journal of Banking and Financial Studies, Vol. 21, the first issue, 2013. ALSHOMALY, Ibrahim Q.; ALWADI, Hazem. The Application of Islamic Sukuk in Jordan: Possibilities and Challenges. Journal of Social Sciences (COES&RJ-JSS), [S.l. ], v. 6, p. 53-69, jan. 2017. ISSN 2305-9249. Available at: <http://centreofexcellence.net/index.php/JSS/article/view/jss.2017.6.1.53.69>. Date accessed: 24 apr. 2019. doi: https://doi.org/10.25255/jss.2017.6.1.53.69.